ADDITIONAL NOTES/REFERENCES: The very largest colony members are the majors (also referred to as soldiers). These giants are much larger than the previously mentioned media and minor workers. Fewer in number than the other physical subcastes, the soldiers serve mainly as defenders, protecting the colony - especially from vertebrate threats, and in some species, from raiding army ants. They can also be seen 'patrolling' the long foraging columns of media workers. 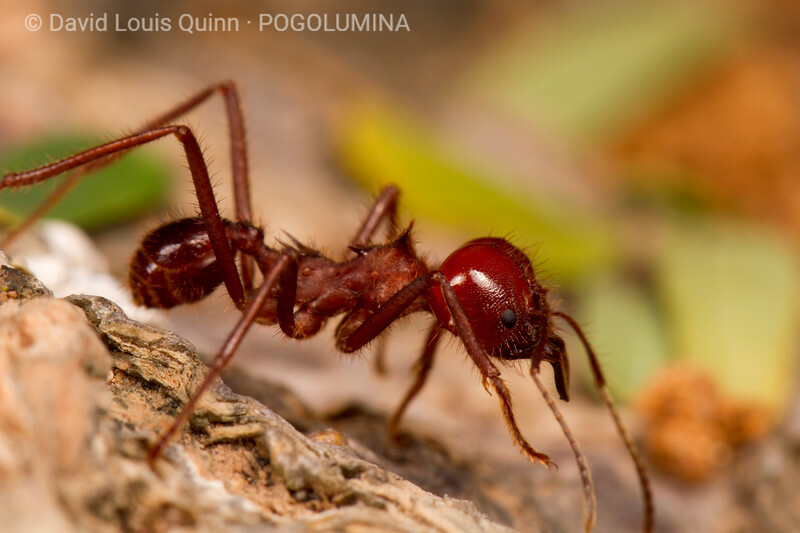 Their extremely powerful mandibles are their defensive weapons - these ants do not sting. At times, these specialized defenders also help with moving larger pieces of vegetation, and slicing fruit into manageable pieces.